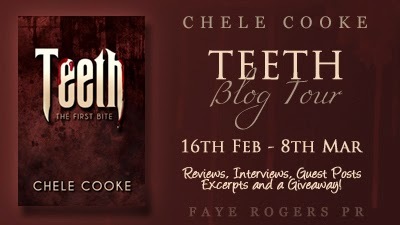 Really pleased to welcome author Chele Cooke to the blog today as part of the Teeth blog tour, with an extract from the book! “Don’t look like you’re enjoying your pint there, Thomas,” he said with amusement. He lifted his head, glancing over before groaning. “Just don’t have the stomach for it,” Thomas complained quietly. Thomas stared forlornly at his pint of beer. He hadn’t taken so much as a sip, the glass was still full and Spencer could smell his breath, clear of alcohol and still with a hint of the toothpaste he’d used before coming out. For a moment, Thomas was silent. 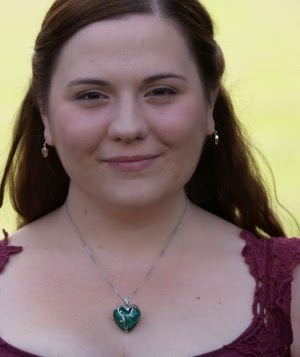 His brow knitted above his clear hazelnut eyes and he scratched the shaggy brown hair away from his neck. “How did you know my name’s Thomas?” he asked. Pointing his bottle of beer at the younger man, he rested his elbow against the bar. The colour, what little of it was left, drained from Thomas’s face. Spencer could see it, inch by inch, the way his skin became thinner, like there was nothing between it and bone. Thomas spluttered, blinking rapidly as he tried to catch up. 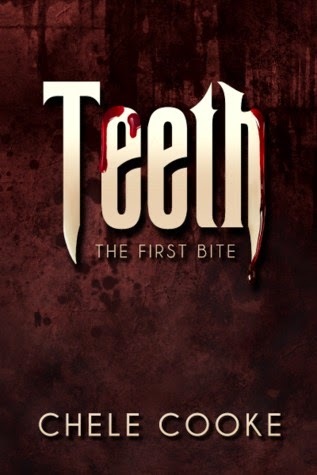 He swallowed twice without drinking anything and glanced over his shoulder, checking the people around them. Spencer drank another mouthful of his beer. Thomas’ face contorted in anger. Bracing himself against the bar, he shoved his stool backwards as he got to his feet. Spencer took a gentle grasp of his arm. “Sit down,” he ordered quietly. Spencer glanced over his shoulder. There was someone watching them, he could feel it. At first he’d thought it was August, that perhaps he was checking up on him, but he knew it wasn’t. He would have been able to pick August’s scent out, even in a crowded bar. This feeling wasn’t August; it was darker and didn’t feel entirely, dare he say it, human. The heat of anger felt feral and predatory. Spencer shook it off and gave Thomas a wry grin.